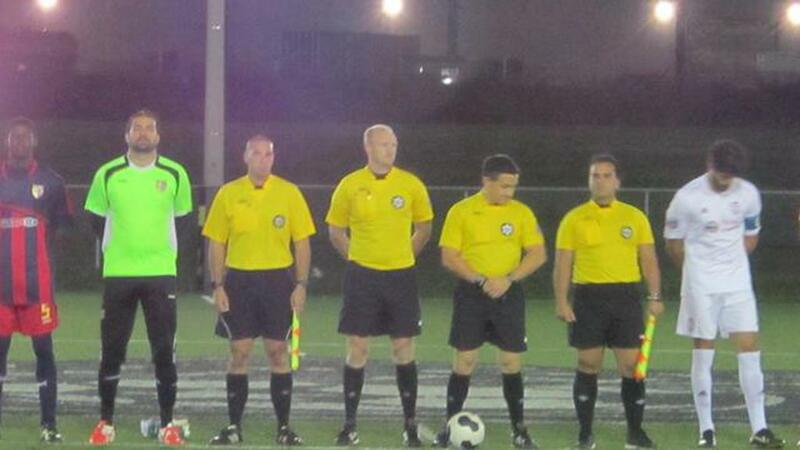 Woodbridge Strikers continued their strong play in the second half of the inaugural League1 Ontario season on Wednesday evening, soundly defeating a young Durham United FC side by a score of 5-0 at a cold and windy Kinsmen Park in Pickering. Recent Player of The Week, Julian Uccello, continued his hot play of late, scoring twice and having more than a few chances to add to that total, if not for the heroics of Durham's very busy backstop, Eugene Alves. Woodbridge also got goals from Franco Lo Presti, Nicolas Chiarot and Gabriel Sosa. Matt George earned the shutout for Woodbridge. He wasn't called on to make all that many tough saves but did a good job keeping his backline organized, along with Lo Presti, who had a strong game as well. Joseph Roccasalva and Taylor Lord led the way in attack for Durham but the team struggled in the final third to make the most of their few chances. DUFC featured several young players from their reserve team, who were getting some valuable experience in League1 play. With the win, Woodbridge locked up second place overall in the league table. Durham United ended their 2014 campaign in eighth place, finishing with ten point from sixteen games.